Bord na Móna Growise Organic Vegetable Compost is not suitable for ericaceous plants such as Rhododendrons, azaleas and Camellias. For this group of plants you should use Bord na Móna Growise Ericaceous Compost. Bord na Móna Growise Organic Vegetable Compost contains enough nutrients for your plants for the first 5-6 weeks in their new setting. From then on, feed them every 7–14 days with a suitable fertiliser. Store in clean, dry and cool conditions, out of bright sunlight. Make sure it cannot be contaminated by garden chemicals such as weed killers. Keep bag closed when not in use. To avoid the risk of suffocation, keep this bag away from babies, young children and pets. Use in a well ventilated place and avoid breathing in dust. Always wear gloves when gardening and wash hands after use. Bord na Móna is committed to the responsible use of peats and peatlands. This product has been produced as part of an environmental policy which recognises the need to preserve peatlands. As part of the licensing process, each of Bord na Móna’s peat harvesting areas has a planned after-use. These are either conservation or long term after-use programmes, including the creation of wetlands and forestry. 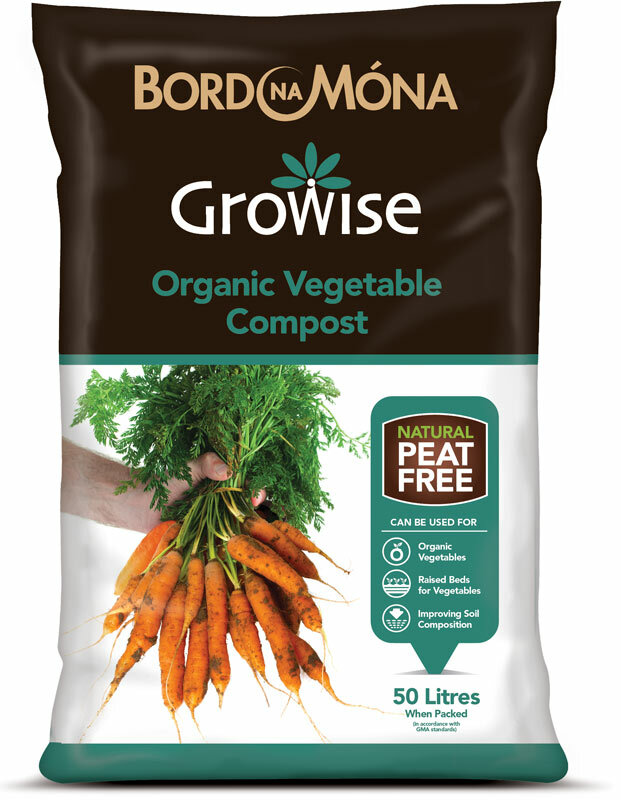 Bord na Móna Growise Organic Vegetable Compost is peat free, made from sustainable natural ingredients. It contains an organic fertiliser which works with your own garden soil to produce superior growing conditions for vegetables. The rich formulation encourages soil fertility, creates crumbly soil texture, better water holding and optimum aeration allowing beneficial microbes to thrive. Bord na Móna Growise Organic Vegetable Compost is best used as a soil conditioner to give all soil types a growth boost, adding life to tired soils. Remove the existing top-growth and 2 cm (1 inch) or so of topsoil using a spade. Ensure to remove all visible weeds. Spread approximately 2.5-5 cm (1-2 in) of Bord na Móna Growise Organic Vegetable Compost over the soil and work-in by digging well into the soil. Continue to fill the raised beds until the desired depth is achieved. For best results this should be carried out a month before planting. 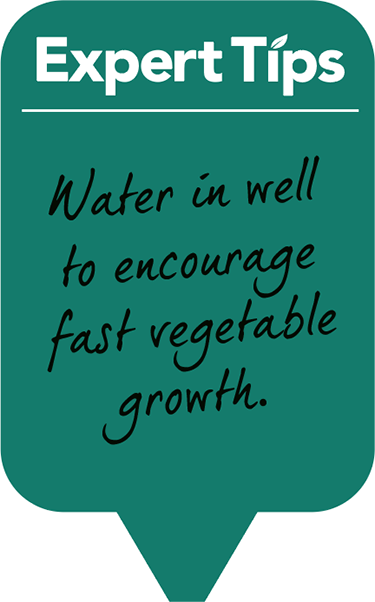 Use Bord na Móna Growise Organic Vegetable Compost to give vegetables a growth boost for continuous cropping. Add a thick layer of Bord na Móna Growise Organic Vegetable compost to existing soil to add natural nutrients during the growing season, leaving space around stems. Take care not to damage existing growth. Water-in well to help disperse nutrients into the soil. At the end of the growing season remove all weeds and other plant debris. Add a thick layer of Bord na Móna Growise Organic Vegetable Compost to the soil, digging in well to create rich fertile soil in preparation for next season. Bord na Móna Growise Organic Vegetable Compost can be used as a soil mulch anytime during the year, creating an attractive finish to beds and borders, and giving soil a natural boost of nutrients. It can be used with or without a weed barrier membrane. Bord na Móna UK Ltd.